Listed above are 17 Atlantic City area golf courses within one hour of driving from Philadelphia, New York City, and nearby North Jesey Golf Directory and South New Jersey Golf Directory. Travel here by flying directly into the Atlantic City International Airport (ACY), or Philadelphia International Airport (PHL), or Newark International Airport (EWR). Enjoy your visit, and discover some great golf values in Atlantic City. 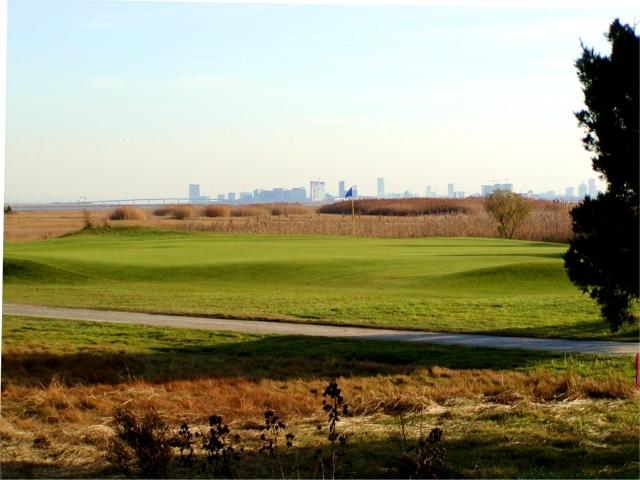 New Jersey golf in Atlantic County is referred to as "The Golf Capital of the Northeast". Other attractions are casino gambling, night life, board walking, sun bathing on sandy beaches, surfing, and of course NJ golf at nearby championship courses. Remember to View-It before you Do-It by clicking photo tour of selected courses above. Travel by air into the Atlantic City jet airport or travel by car using the Garden State Parkway from New York City or the Atlantic City Expressway from Philadelphia. Be sure and check out discount golf rounds using GOLFHOLE green fee coupons at premier courses for additional rounds or even single day trips. Or you may enter your golf vacation requirements into the Atlantic City Golf Vacation Package. Atlantic City Golf Vacation Package.